Rick Ross is back with new music. Here is his new free mixtape Black Dollar. Out of the blue, Lupe Fiasco released a free 6-track EP. Download below. Hit-Boy dropped off a surprise EP. Zoomin’ has features from Pusha T, Quentin Miller and more. This is the first installment of Deacon the Villian’s Instrumentals series. Deacon’s Peace or Power album arrives September 30th. Two-9 plans on dropping a new EP on the 29th of each month. Here’s the first of more to come. Vic Spencer and Ill Legit hook up for a 12 project titled Plastic On Couches. Brownsville rapper Marvelous Mag released his new mixtape following the death of his cousin Sean Price. Chicago rapper Chris Cap released his new project Fallen Summer. D2G has blessed the summer with another banger. “Short Summers Long Winters” is the perfect summer follow-up to “July 9th: A Cancer Story”. SSLW is the second full length album from 2G on Reflective Music, and is a definite groove there’s no doubt about it. The idea of the project is to show the new generation of rappers to follow their own path and not to fall in the trap of the fads and trends. 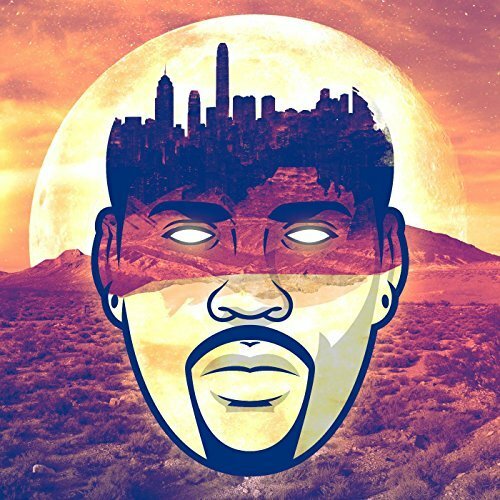 Over 12 tracks of various instrumentals of jazz and boom bap classics, Curtis proves Hip Hop is in his blood and completes an incredible worthy effort. A tribute Mixtape to two legendary producers J Dilla (RIP) & DJ Premier, this a throw back mixtape that dropped years ago before Blogs was really took off. Hardtimes Records wanna re-release this tape to the blog world. Famoso is working on part 2 & other dope projects for 2015 & 16. SD releases the follow up to his debut album Still Blessed and mixtape Life of a Savage 4. Download Just The Beginning below. Boaz hooks up with the Point Blank Crew to release this collaborative mixtape The Burghprint. Rich the Kid releases his Flexin’ On Purpose mixtape. At 14-tracks deep, the tape has features from Ty Dolla $ign, Rich Homie Quan, and Young Dolph. You’ll find beats by Harry Fraud, Hit-Boy, Zaytoven, and more. Tayyib Ali released a new 12-track mixtape fresh off the release of his album Ali. Aminé released his new project which was premiered earlier this week by Complex. Check out the stream and download below. Mike Will Made It find Yung Joey dropped off a 10 track mixtape with features from the producer Mike Will himself, Audible Doctor, Metro Boomin and more. Expect features from LL Cool J, Rae Sremmurd, Dej Loaf and more. Chicago rapper Yung Stakks released a new tape titled Off My Chest. His debut album In My Own Lane will drop in October. Until then, catch the Off My Chest below. New free EP from The 20/20 Project. Download and stream Tapes and Crates below. Leon Bridges dropped of Come Home To Texas this week. It has a feature from Bun B and is a remake of tracks from his album. According to Fake Shore Drive, Coresh was one of the more promising emcees out of the Chicago area. He released a new project this week title Hevvy. Take a listen and see if you agree with FSD. Atlanta rappers Travis Porter dropped off new music this week. Check out S.A.Q. below.